Have you ever worried whether your car will be able to get you to that important meeting or that function you cannot afford to miss? With the busy schedules we have, it is easy to forget to check our car’s condition and most mishaps usually come unexpectedly. Thanks to car maintenance apps, you can get in control of your car’s maintenance by getting alerts about when you should visit your car mechanic. EyeRide web app is a perfect solution for fleet businesses who must monitor their fleet and reduce costs and liabilities through keeping a close watch on their drivers. The app helps monitor the driver’s behaviour and fleet safety, cost reduction, fuel economy and fleet risk management, among other important functions. There are apps that have been developed and are easy to download onto your smartphone or tablet keep important car records. 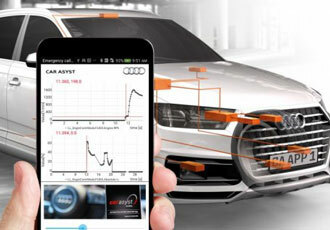 The following are among the best apps that will allow you to keep track of the maintenance needs of your car. 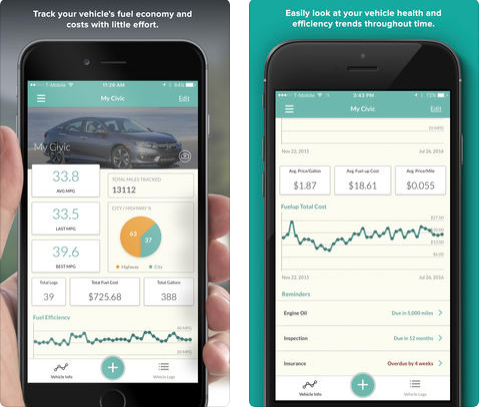 This iOS app keeps track of your vehicle’s fuel usage, oil level , tire grip and car insurance renewal time, among others. This helps reduce any unnecessary costs caused by the poor maintenance of your vehicle. 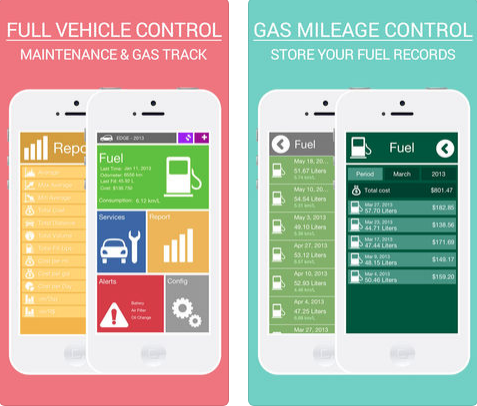 The app can also help you to cut down the fuel expenses that comes with a poorly maintained car. 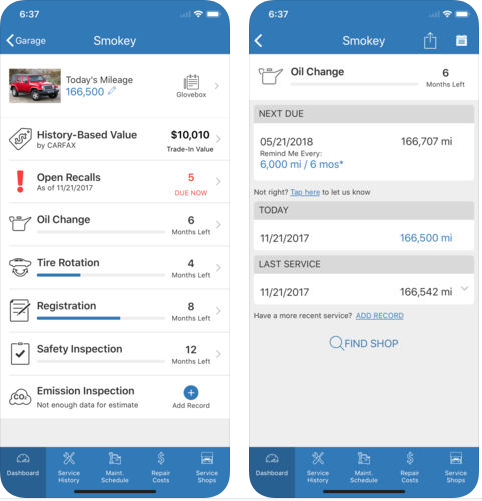 This iOS app helps in car maintenance and gas logging to detect any problems that may arise, as well as advising you on which expert solutions to seek, in advance. If you have more than one car, this app keeps you updated you on each of them. This iOS app will ensure that you do not miss your car maintenance appointments by giving timely updates. It can be used to track more than one vehicle to make your work easier . It also keeps records on fuel usage for your car. It is keeps safe and reliable records because you can choose to sync it with iCloud. 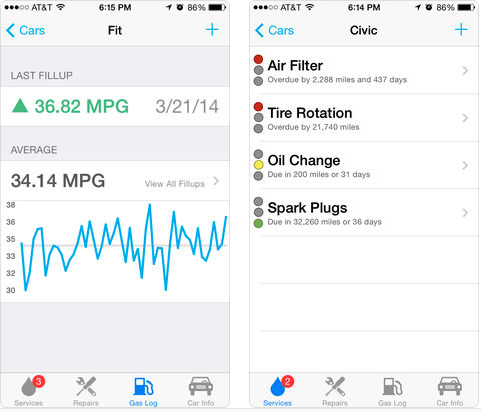 This iOS app can save information about the car maintenance of up to 15 vehicles. It is easy to use, and you can sync it with iCloud to have a backup on all your car records using the DropBox sync option. This iOS app is a very efficient way to keep you updated on all your car’s scheduled maintenance dates to ensure it is in perfect condition. 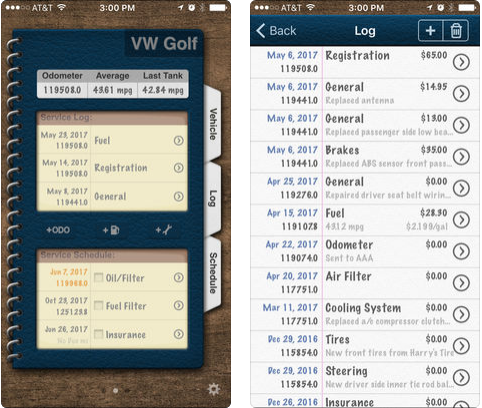 The app automatically updates the car’s service history and it can keep records for up to 8 vehicles. The interesting part of this is that you can get the app for free. 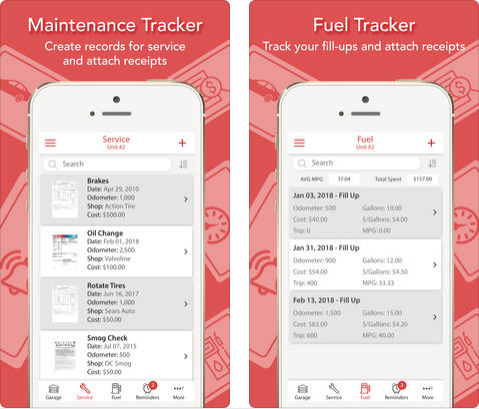 This amazing iOS App helps you to easily access information on your car maintenance receipts without having to check papers which can easily be misplaced. You can take pictures of all the important car maintenance documents and store them using this app for reference purposes. You can install this app for free.